Joel Feder November 7, 2018 Comment Now! A lot of vehicles are truly brilliant in terms of performance, luxury, design, or engineering. Some, not so much. Each year we choose the Motor Authority Best Car To Buy. It starts with the list of new and significantly updated luxury and performance vehicles, then we whittle it down. Sometimes the cuts comes down to something as simple as logistics. This year timing and logistics took three vehicles off the list. We couldn't get an editor into the Lamborghini Urus by Nov. 1, and both the Aston Martin Vantage and Hyundai Veloster N couldn't make it to Georgia for our final testing. A lot of vehicles are really good, or even great, but they fall apart when compared to others. That's where the tough cuts come into play. When compared to vehicles across various segments, flaws really start to shine through. Others don't quite have the chops to perform on a track. We prefer vehicles that can do duty on the street and on the track. With those insights, here's a quick look at each of the vehicles that didn't rise to the top of the finalist list for 2019. Even if these vehicles aren't finalists, a lot of them are standouts in their own right. Aston Martin Vantage: This one is simple: We couldn't get our hands on it. Aston Martin tried to get us one, and the stars just didn't align. 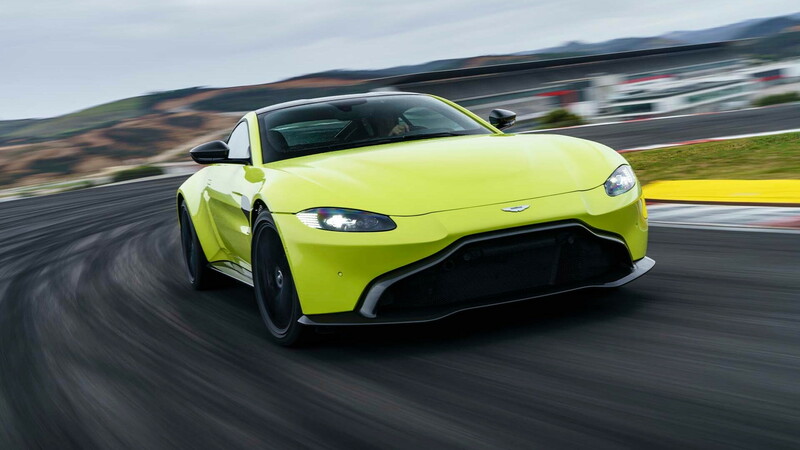 The new Vantage has all the right stuff with gorgeous styling, track-ready dynamics, and turbocharged power, but you have to show up to win. 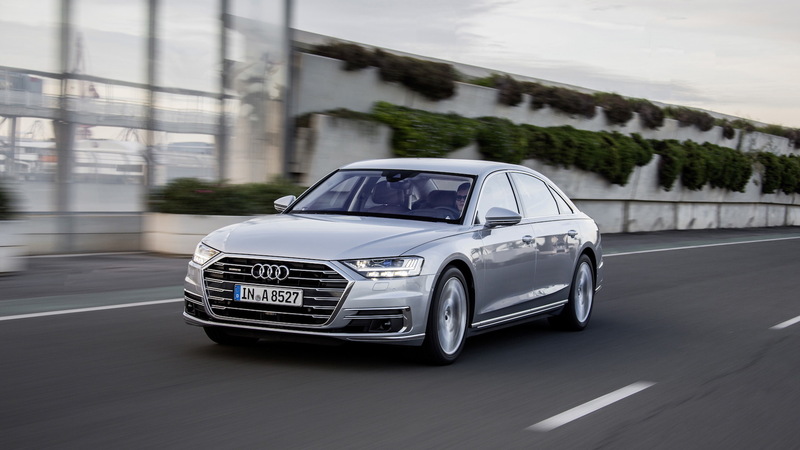 Audi A8: The new A8 is a flagship luxury sedan with the comfort you'd expect and all the latest tech. But this big sedan just doesn't have the performance to make the cut. Perhaps an S8 Plus could be considered in the future. 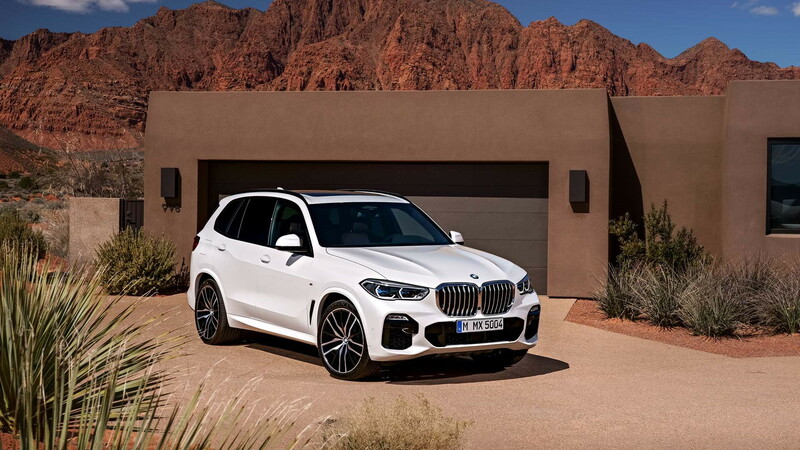 BMW X5: The new X5 is an excellent luxury SUV, but creature comforts don't go far enough in this competition without performance. BMW hasn't released a hot rod X5 M yet, and we'll check back when it arrives. 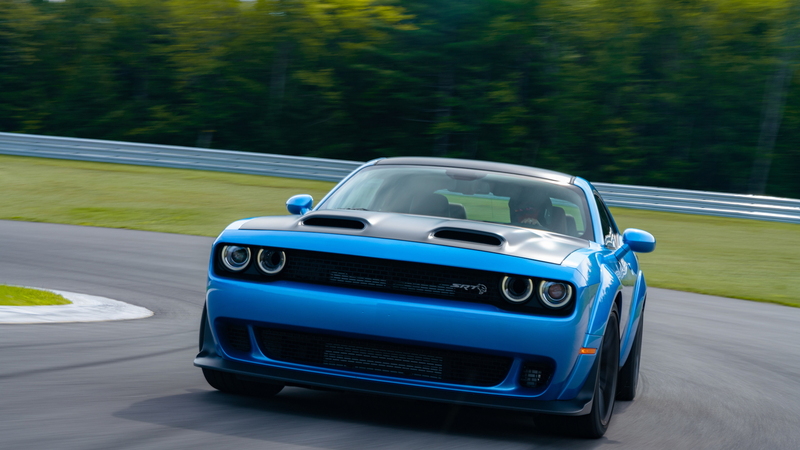 Dodge Challenger SRT Hellcat Redeye: The Challenger SRT Hellcat Redeye has all the horsepower, but this isn't the Hellcat's first rodeo. It made it to the final round when it was new for 2015. Wider tires, wheel flares, a larger supercharger, and 90 more horsepower isn't enough to win. 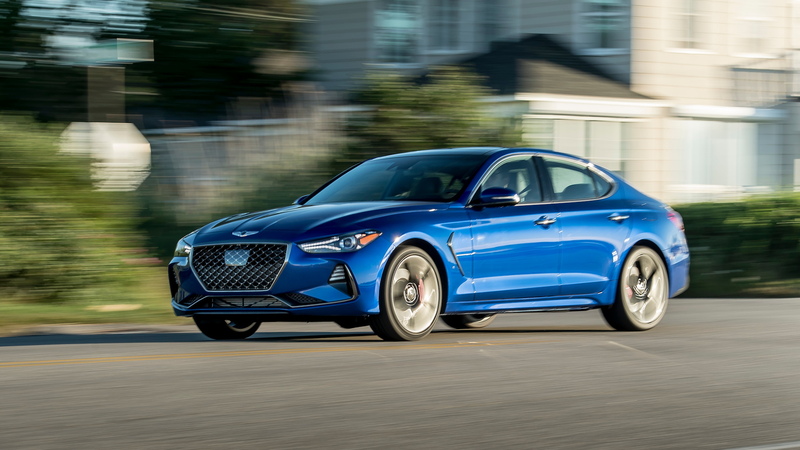 Genesis G70: Genesis got it right with the G70. The packaging, power, and driving dynamics are all exactly what you want in a sport sedan. It's what you'd expect in a BMW, and we view it as the revolution of where Infiniti was going with the G35. It's really good, but it isn't good enough to beat our top competitors. Hyundai Veloster N: This one stings. Tthe Veloster N made the final nominee list, but at the 11th hour Hyundai phoned and said the little hot hatch just couldn't make it to final testing. That's a shame because the Honda Civic Type R hot hatch took home the 2018 award. Infiniti QX50: The Infiniti QX50 makes a really good first impression, but wilts under the spotlight. It's truly gorgeous for a crossover SUV, but the variable-compression powertrain, while powerful and efficient, can get confused and we're not fans of the continuously variable transmission. Value is also a problem. Lamborghini Urus: It's a real shame, but our editors simply couldn't get behind the wheel of the modern-day Rambo Lambo. The Urus couldn't make it to final testing. Depending on launch timing, maybe it will be thrown into the fray for the 2020 award. Lincoln Navigator: The aluminum-bodied Lincoln Navigator is a really good luxury land barge, but it utterly lacks performance. That puts it behind the eight ball in this competition. Mercedes-Benz G-Class: The G-Class is a tank lined with leather. It can clamber up, over, and through pretty much anything with its three locking differentials, despite most owners never taking it further than a Starbucks parking lot. Its astronomical price was the largest factor in its failure to make the final round. Porsche Cayenne: New for 2019, the Cayenne lineup is just starting to get fully fleshed out, and our editors couldn't get behind the wheel of the performance-oriented Turbo model. That knocked the Cayenne down a few pegs for this year, and knocked it out of the finalists list. Volvo XC40: The Volvo XC40 is a fun, smart, compact crossover SUV with terrific interior packaging and a tidy exterior design. It's hard to fault the little Swede, but it doesn't have any pretense of performance and therefore it simply couldn't rise to the status of contender for our 2019 award. Volvo S60/V60: Like their lifted, smaller sibling, the XC40, both the S60 and V60 are fantastic in their own right. They're supremely comfortable, achingly gorgeous, and incredibly pleasant to drive. But when the hard cuts had to be made, the S60 and V60 simply didn't stand out against the performance players.